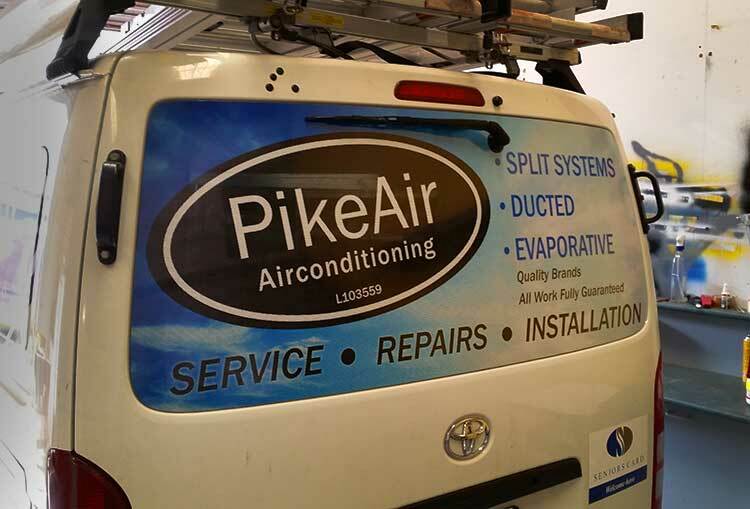 The back window of a van is a supreme area for placing signage, and one way vision prints are the most effective way to use it. 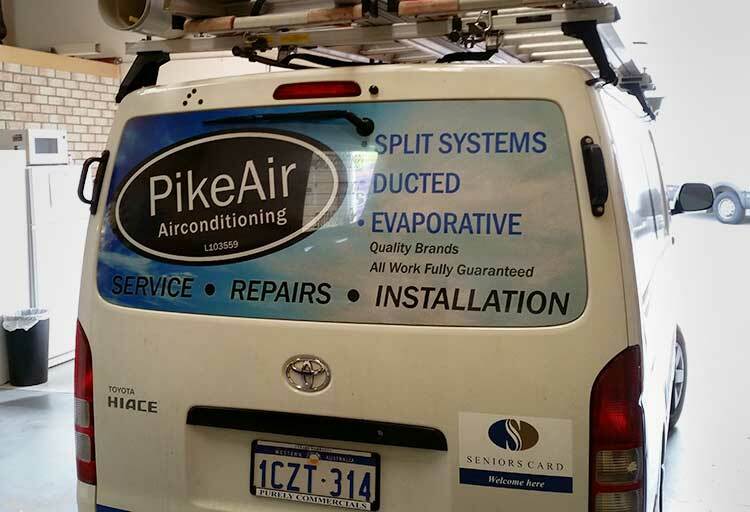 It’s a large, flat area, and Perth Graphics Centre can print virtually any image on your back window. One way vision films are rated for 12 months outdoor life, though most people get longer than this with some simple care. Despite being a short-term film, the effect is well worth the effort. And if you’re concerned about your rear vision when it rains, then Perth Graphics Centre has a solution. We use an optically-clear overlaminate which prevents the holes being filled with water from rain or sprinklers, etc. The water simply runs off and you can still see out with no impairment. What if the window is curved? No problem. We can sort the artwork to suit. Yes, one way vision is a great way to use that available space, and here at Perth Graphics Centre we can come up with the best solution for your business. Call us or email and we can quote you on your one way vision needs.